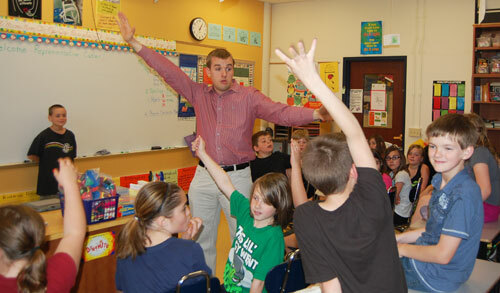 Representative Brian Cutler visited the fourth grade classes at Martic Elementary School to help students understand how a bill becomes a law. The class was divided into the Senate and the House and one student was appointed Governor. After several amendments were added to the original law – no homework for anyone younger than the Governor – the law passed both houses and was signed by the Governor. Federal Judge Ronald Buckwalter visited Eshleman Elementary’s fifth grade classes to teach about the judicial branch of government. He had the students take part in a mock trial to learn how the courts work.